Your entire world lies within yourself and it can be viewed only through the eyes of your mind. …Abundant happiness lies there. 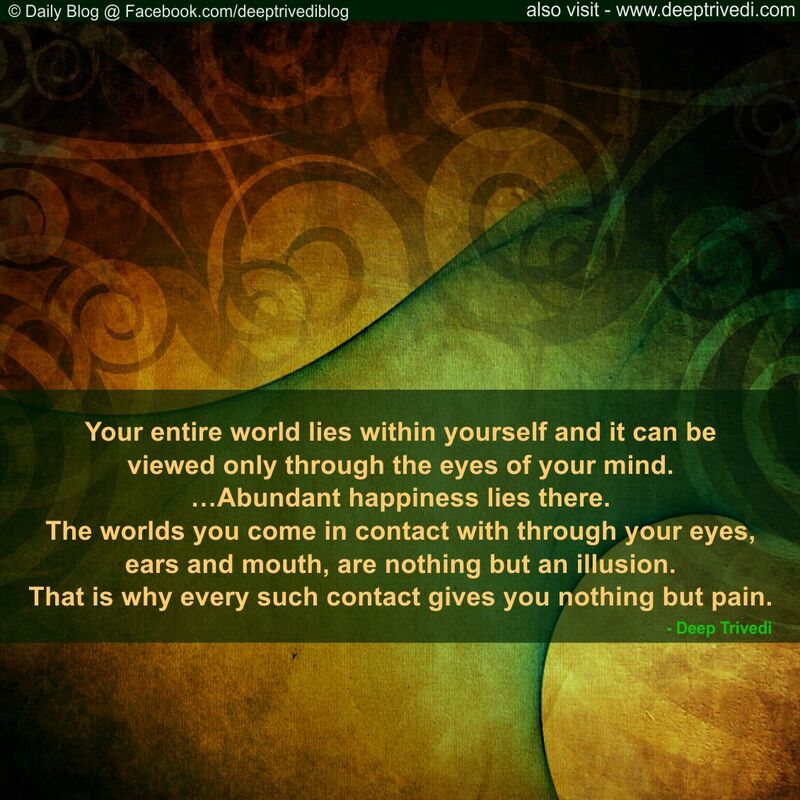 The worlds you come in contact with through your eyes, ears and mouth, are nothing but an illusion. That is why every such contact gives you nothing but pain. 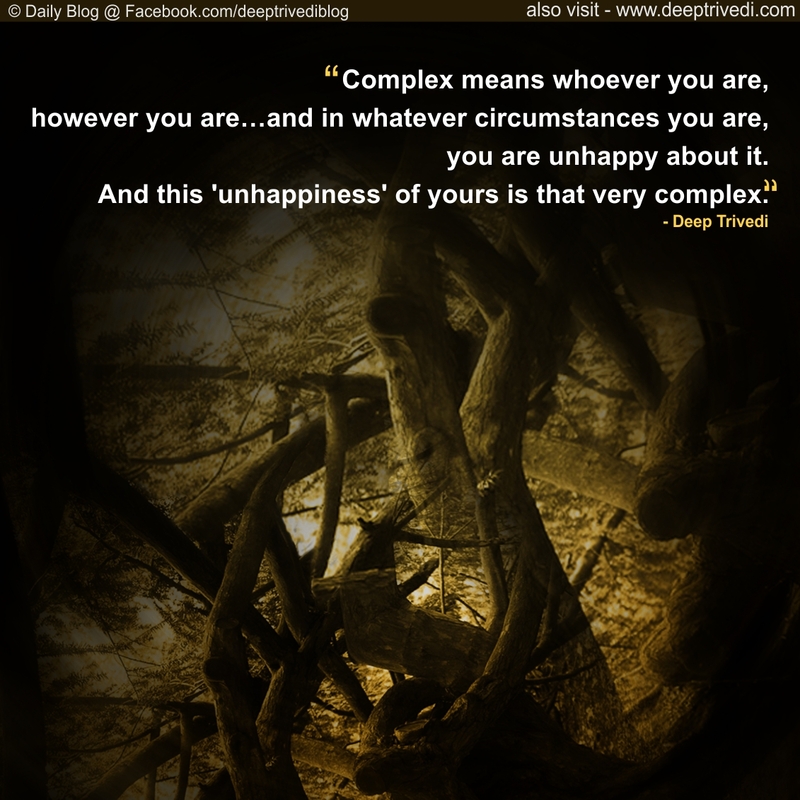 Complex means whoever you are, however you are…and in whatever circumstances you are, you are unhappy about it. And this ‘unhappiness’ of yours is that very complex. 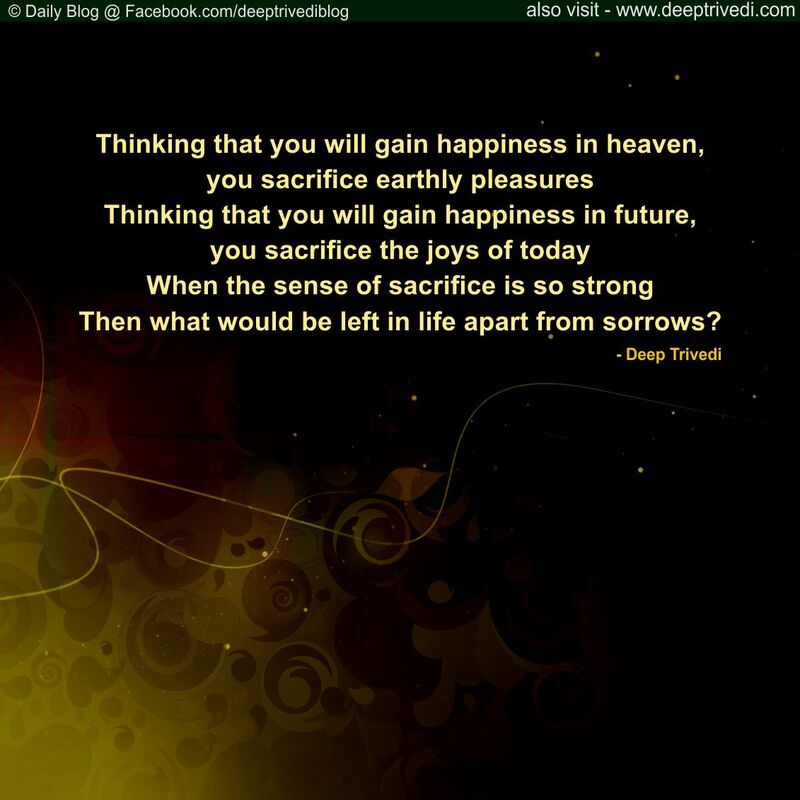 Thinking that you will gain happiness in heaven, you sacrifice earthly pleasures Thinking that you will gain happiness in future, you sacrifice the joys of today When the sense of sacrifice is so strong Then what would be left in life apart from sorrows? 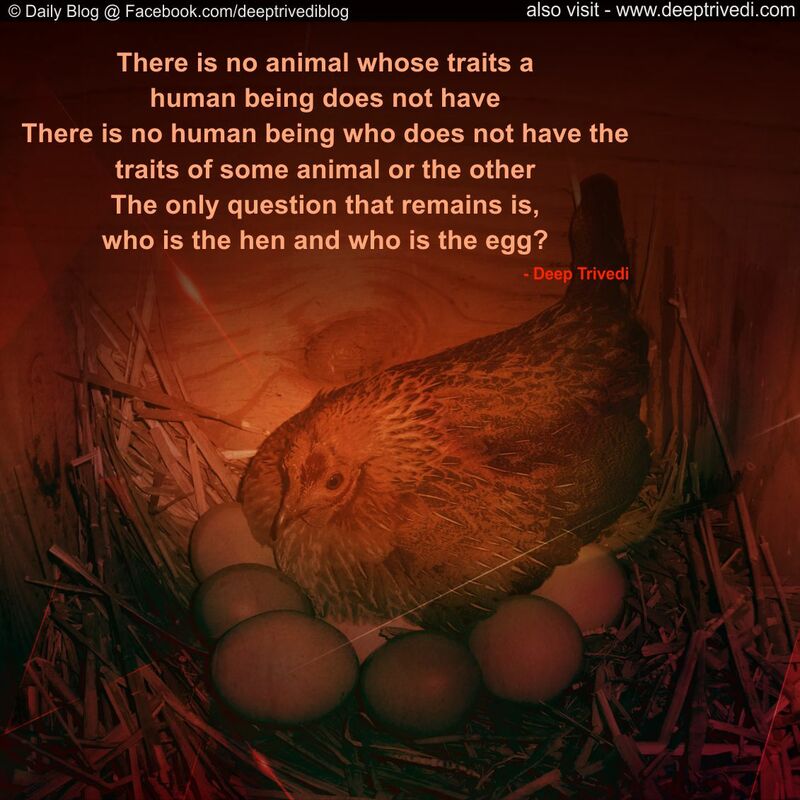 There is no animal whose traits a human being does not have There is no human being who does not have the traits of some animal or the other The only question that remains is, who is the hen and who is the egg? 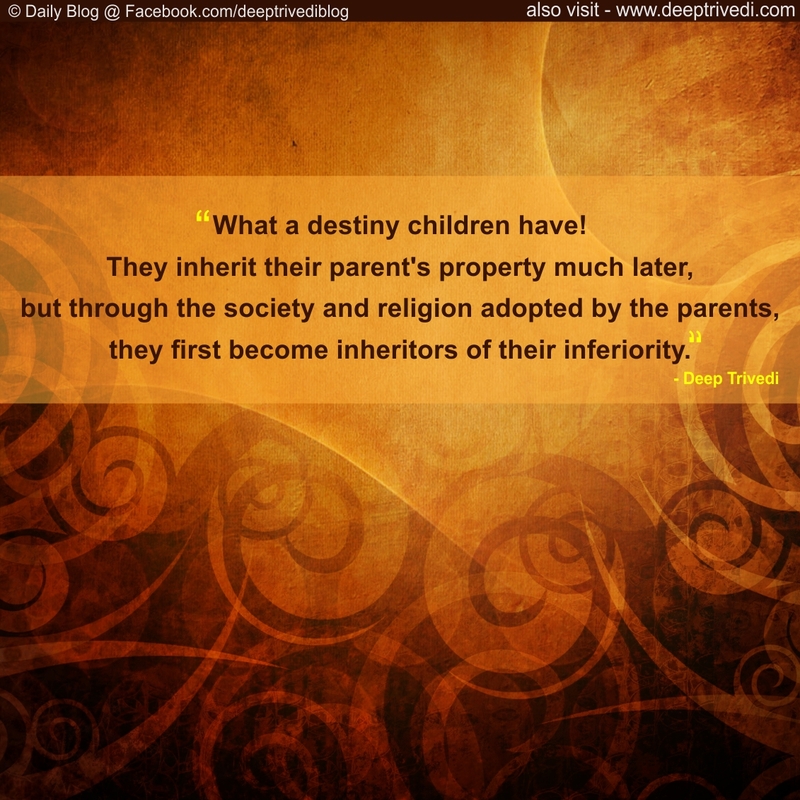 What a destiny children have! They inherit their parent’s property much later, but through the society and religion adopted by the parents, they first become inheritors of their inferiority. 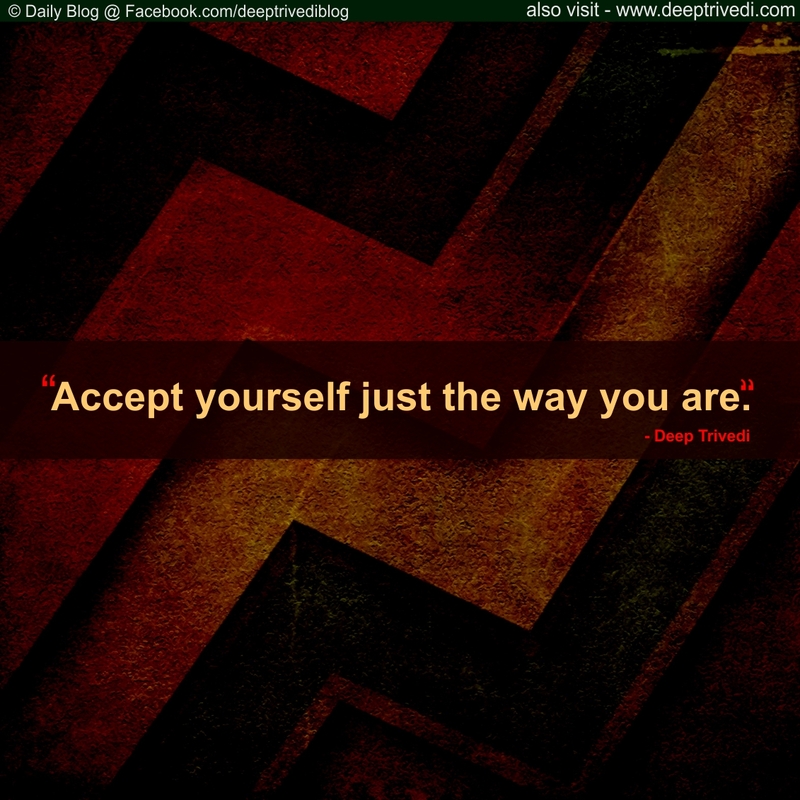 Accept yourself just the way you are. The excuses that you turn to making when you try to be discreet about your sorrows and your weakness, those itself are the ones which you know as superiority complex. Can’t you keep the soil of your mind firm? Yes you can, if you shift your focus from the pains and pleasures of life to your “being” and keep it steadfast there.